Make sure to explore Los Botes Beach Uruguay, when you are visiting La Paloma Uruguay. Some of the other beautiful beaches include Corumba, Playa Solari or La Aguada. 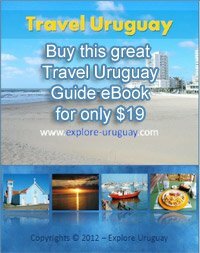 This small country in Uruguay is fortunate to have a variety of sunny beach destinations available and each one has a unique atmosphere and landscape for you to enjoy. Many people come to La Paloma Uruguay because there are so many places to swim, but there are also some great sites for surfing. If you are a devoted surfer or just like to watch others ride the big waves then you will want to visit Los Botes during the months October-May. This is the season when the waves are very powerful and the surfing activity reaches its peak. Of course surfing is always available at any time of year at Los Botes. Playa Solari is another western beach that you will find in La Paloma Uruguay and this is another site that rivals Los Botes when it comes to attracting large numbers of eager surfers to its shores. The reefs that are located close to the beach intensify the breaking activity of the waves and this is why so many people want to come to the western shores to test their skills in the water. One reason why Los Botes beach and Playa Solari beach in Uruguay are such wonderful locations to enjoy the sport of surfing is because of the geographic features at La Paloma. The south facing peninsula has a duo of large bays to welcome guests and their surfboards and the surrounding reefs guarantee that there will be some type of strong wave action to greet you no matter what time of year you are visiting Uruguay. The edge of Cabo Santa Maria is home to Solari beach but you will also find Los Botes, and Playa de Zanja Honda situated close by. At Playa de Zanja Honda the largest swells are heading inland from the south and you will discover that the waves are breaking all through the year. The wide, sandy shoreline provides you with a wonderful place to soak up some rays or you can use the beach as a vantage point to watch other surfers try to tame those unpredictable waves. Los Botes beach Uruguay, lies in an area that is a little more protected and sheltered from the strong easterly winds. Visitors should be aware that there is a rocky bottom at Los Botes and if there are southwestern sides then the waves along the beach's right will provide better action for surfing. Corumba, Playa de Zanja Honda, Los Botes, La Aguada and Playa Solari are all popular choices for swimmers and surfers and you may find it difficult to choose which one you prefer. Depending on the weather in Uruguay, the winds and what outdoor activities you enjoy, each of these locations has something special to offer. One thing is for certain, you will enjoy the time you spend on the sunny shores of La Paloma Uruguay.